Created with flexibility in mind, this brush features a pointed tip of soft, thin pony hairs that allows you to apply precise shadow highlights to the inner corner of the eye or smoke out the lower lash line. Product Pairing: #253 is for use with powder products. 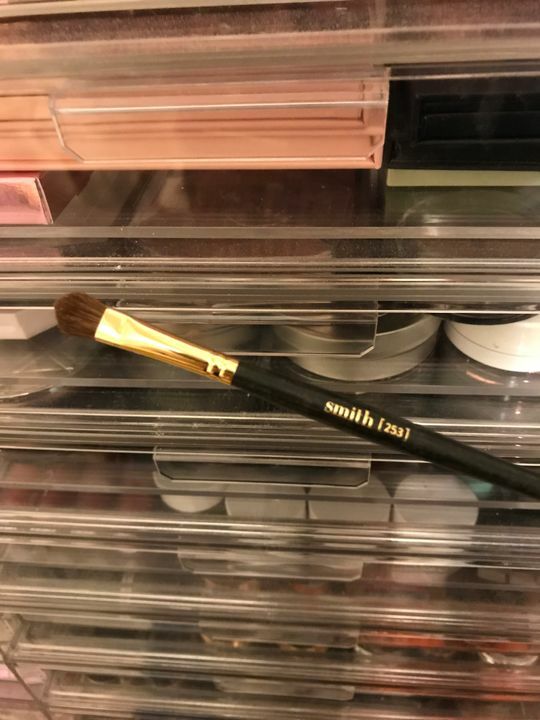 This brush is perfect for laying down shadows with minimal fallout because the brstles are cut to different sizes, they place product down effortlessly.